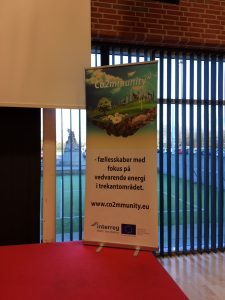 On the 15th March, the Co2mmunity partners met in Middelfart for a field trip in Denmark and Germany. After a warm welcome by Middelfart’s mayor Johannes Lundsfreyd Jensen the group set off to chase the winds of the Baltic energy transition. 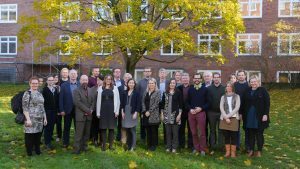 The stops in Denmark included a local heating network connecting 63 houses in a small village, the Sønderborg Project Zero and a newly installed low-pressure/low-temperature grid using heatpumps and geothermal energy, which is looking for partners to install further grids in Europe. The next day in Northern Frisia, the group got to meet the people of GP Joule, whom are behind ambitious hydrogen projects, like a bus service and electrolysers. 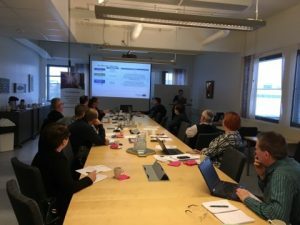 Then Co2mmunity was invited to the main office of Nordgröön, who manages the dispatch, sale and in parts consumption of renewable energy in the region to realise the full potential of the energy transition. 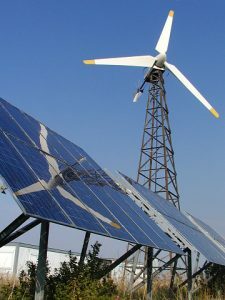 Furthermore, Co2mmunity engaged with the community of Sprakebüll, a front-running renewable energy village using biomass, wind and solar power and sharing 20 electric cars among the 240 inhabitants, the ‘Dörpsmobile’. 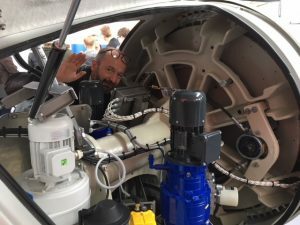 The third and last day of the fi eld trip allowed the participants to enjoy the Husum New Energy Fair, where innovative and well-known technologies and approaches were presented by different companies and organisations. Additionally, interesting plenary sessions and talks offered the big picture on the energy transition. To have a look at the available presentations from the field trip click here. From the 15th to 18th of March the New Energy Fair will take place in Husum. The expected 10 000 visitors will get to know the latest and what is about to come in renewable energy, from electricity to heat. Watt 2.0 is co-organising the event and is also an associated partner of Co2mmunity. All the more reason for us to be there! On the day before the fair, we will start our field trip with all our partners in Middelfart and then head south. Looking forward to meet you!